Fill in the product for each reaction below. Indicate stereochemistry where appropriate. -OtBu is a big, bulky base, and so will do an E2 reaction with the alkyl halide. The elimination product can be either a cis or trans alkene, but trans is usually the major product (cis alkenes have steric strain). 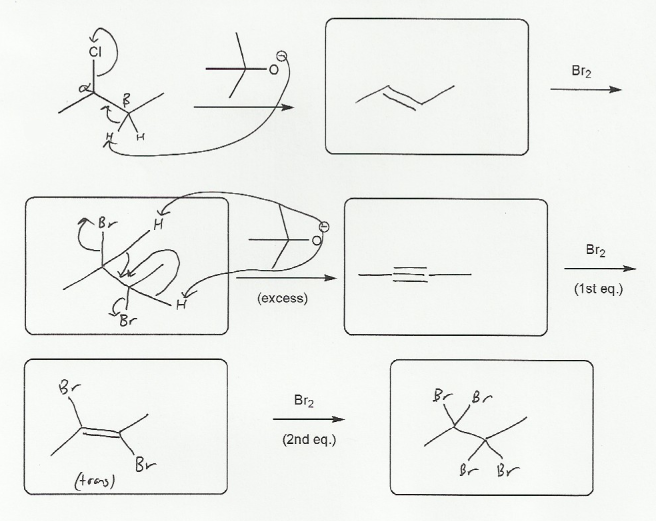 The alkene then reacts with Br2 to form 2,3-dibromobutane, which can undergo two consecutive E2 reactions with -OtBu to form an alkene and then the alkyne (2-butyne). 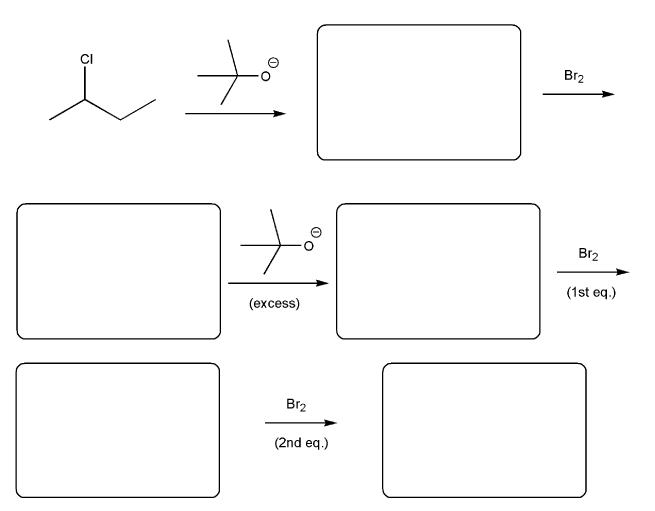 Finally, the alkyne reacts with the first equivalent of Br2 to form the trans 2,3-dibromo-2-butene, which reacts with a second equivalent of bromine to form the tetrabromo alkane. MendelSet practice problem # 562 submitted by Matt on July 8, 2011.